Canine behavioral problems are not fun to handle. It’s frustrating for dog owners and stressful to people around them, yet it’s something that can be solved through proper guidance. If you have the experience tackling such issue and would like to make some money doing so, these 7 dog training affiliate programs have a lot of opportunities to offer. Dog Training Online – Are You Serious? I know what you are thinking, shouldn’t people get help from real trainers instead of reading off the internet? Yes, in most cases you could, if the pet is unmanageable and accessing a training facility is convenient. With current digital information however, people can learn things easily online and when pet owners are empowered with the vital skills and knowledge, they can take charge in training their own dogs without a trainer by the side. Depending on the location, age and breed of the dog, training classes can cost anywhere between $20 to $150 dollars per hour and you usually need to commit for several weeks to see positive changes in the pets. For some people, this can be a costly event and if the owners are busy and budgeted, this may not be a suitable option. 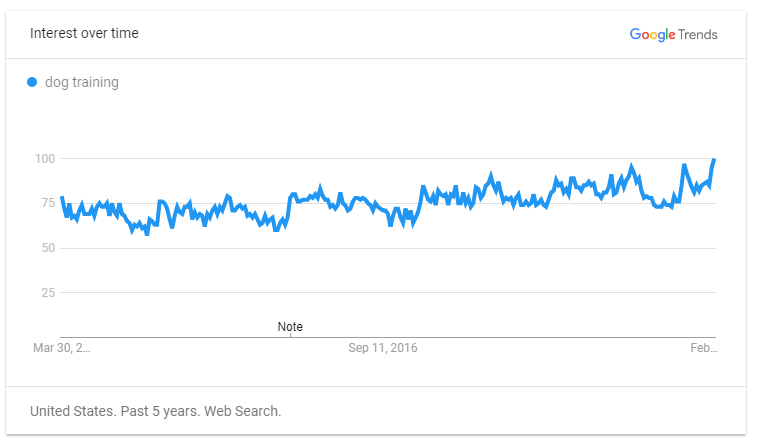 The internet, however provides convenience and it has become a norm for people to search for solutions online, including dog problems. It’s probably one of the reasons why the topic has been showing a steady upward trend for the past 5 years. While pet food companies, kennel clubs and pet magazines are constant contributors to the subject matter, the most valuable guidance would come from structured programs such as courses and video training. The good news is, some of these resources come with affiliate programs. If you have the skills and expertise, of course you can go ahead and create your own online courses. But the purpose of this article is to help you get into the niche sooner and start making money. Therefore, it’s better to refer people to existing programs and earn sales commissions from different sets of audience. It also means that pet enthusiast, groomers and even veterinary technician can get involved in a side business online to supplement their income. The most important thing here is to relate to the pain-points of the pet owners by identifying what they are searching online. 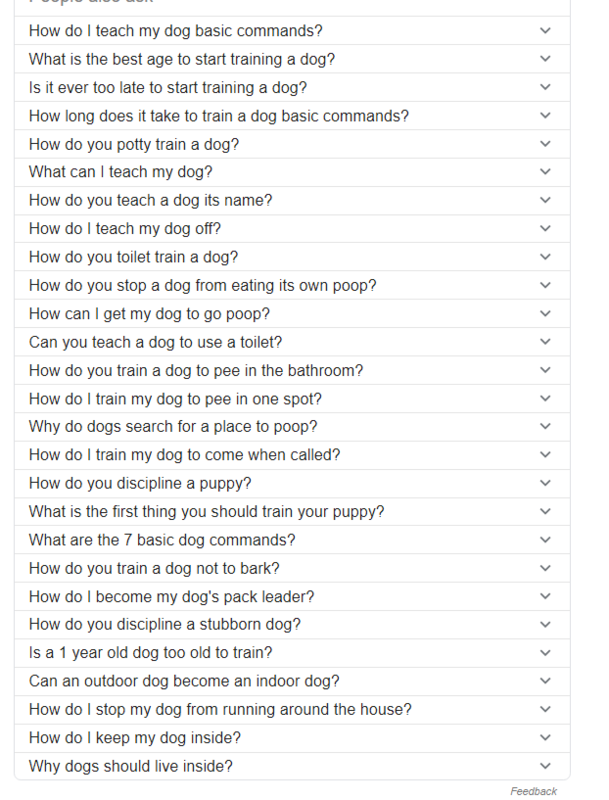 Canine behavioral problems are unique to every individual and a quick search on Google will reveal different sub-topics that are trending. Also, pay attention to the new feature that says ‘People Also Ask’. These queries – also known as keywords – are ideas that can be used to drive traffic to affiliate offers on a blog. Using them as a guidance, you will be creating content (aka articles) targeting a specific audience who will benefit from a dog training program that you are affiliated with. You may do so by writing product reviews, sharing personal experience, doing product comparisons or teaching through how-to articles. Now, let’s see what are some of the good affiliate programs available in this niche. The program consist of 6 main courses and cost $37 per month or $147 for 6 months. Members can try for 3 days at a $1 trial and they are free to cancel the subscriptions at any time. The affiliate program is managed by the Clickbank marketplace and pays 59% commission per sale. 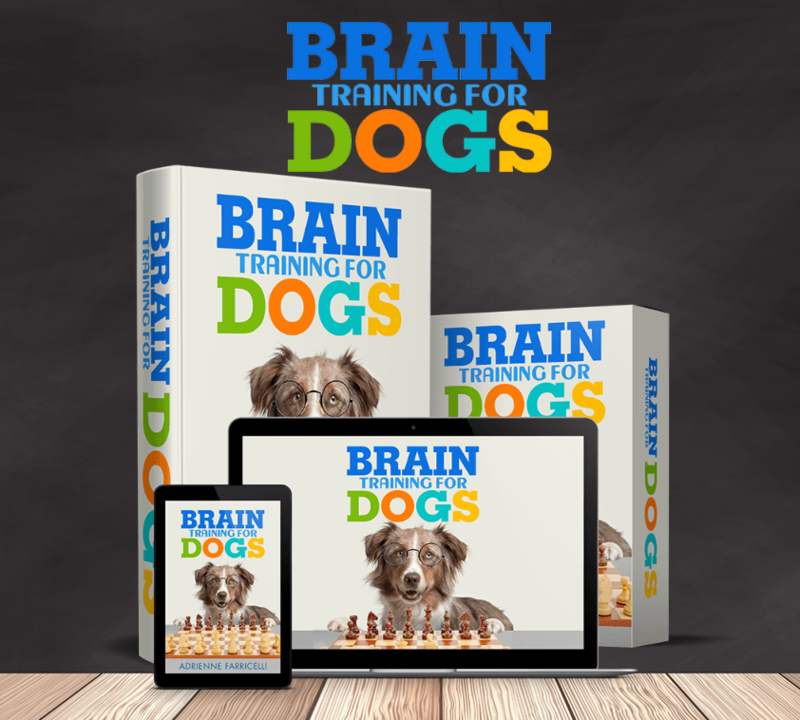 Also another Clickbank product, Brain Training 4 Dogs is created by Adrienne Farricelli who is a professional and certified dog trainer. Her science-based system uses gentle and force-free technique to engage with the dog’s mind through mental stimulation. According to her, intelligent dogs are better behaved and more obedient. Her course offers 7 training modules, personal support, archive, forum and simple to follow formula that has proven to work – all for the cost of $47. For affiliates, the commission per sale is 75% and you’ll be provided with promotional banners, videos as well as keyword ideas generated from Long Tail Pro. Short for KPCT, this training is based on the science and application of marker-based positive reinforcement. It uses cue to encourage and build solid behavior chains. They have training programs for both pet owners as well as pet trainers. Their affiliate program is managed by the ShareASale network and the commission rate is 8% every time someone purchases their clicker training products through your link. 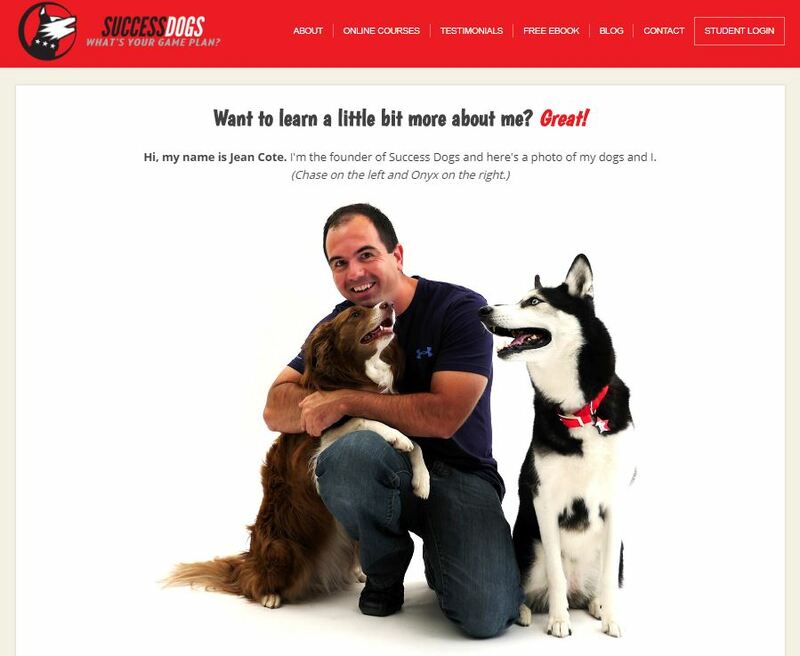 Success Dog is a training program created by Jean Cote who founded Dog Trick Academy back in 2006. The objective of his teaching isn’t so much about managing behavioral problems, but rather, teaching cool and unique tricks to the canine companions. Packed with video lessons, he offers 3 types of online courses which are all priced at $47 individually. He also gives away a free eBook on his site so that’s worth checking out. Affiliates will also need a PayPal account and the commission rate is 50%. This program, as the name goes, focuses primarily on puppy training. It’s created by Sharon Mills, a puppy trainer and dog behavior specialist based in Australia. Her offers include books, DVDs, an online course and video downloads. Information about the commission rate is not readily available on the site, but affiliates will get paid through PayPal so setting up an account is necessary. This third product is unique in a way that it has both online training and local services. Dog Sense Online pays 25% for each sales referral. They offer a self-paced video course for $69 and video course PLUS live coaching for $99.Besides that, they also offer personal counseling and in home dog training in Minnesota. This allows veterinarians, shelters, dog daycare centers and dog friendly settings in the area to generate additional income for their businesses. Run by three Certified trainers and consultants who turned into bloggers and Instagrammers. Offer free lessons every Tuesday which you can watch on their YouTube channel. Also make 15% from the sale of their eBooks and self-study online courses range between $10+ to over $150+. I know Amazon has nothing to do with dog training, but if other programs are selling their own books, it’s worth checking out what’s trending in the Amazon bookstore. I am guessing a lot of people who shop online are Prime members so they are likely to buy their books from there too. The last I check, there are more than 10,000 titles to choose from. There’s the well-known Dummies Guide, Cesar Milan and plenty of books written by experts in the field. When you join the Amazon Associate program, every sale of a physical book will earn you 4.5% in commission. If you choose to promote through Audible, you get to make even more, between $5 to $10 per referral subscription. That’s even better than paperback books. In case you don’t know, there are more than 8 million pet dogs in the US alone and the number is growing by the year. Training good behaviors in dogs are crucial for the well being of the pet and also the community. I am guessing that the market demand for this niche will continue to grow in years to come. Also, did you notice that most of these programs have higher commission rates? That’s the advantage of promoting digital products over physical ones due to the low overhead fee. So what are you waiting for? Go and set up a WordPress blog, create content based on the interesting keywords that I’ve revealed earlier and start monetizing from these affiliate programs. If you need any help moving forward, feel free to check out my recommended online business platform for more guidance. Please leave some comments if you have any and I look forward to hear from you soon. I did not know that all these avenues were available for dog lovers. Well definitely check further how to use this niche opportunity to monetize from my pet blog. Wow, this is an absolutely amazing niche to look into that I had never thought about. I have websites that focus on numerous pets and hadn’t even thought of looking into training programs as potential sources of income. 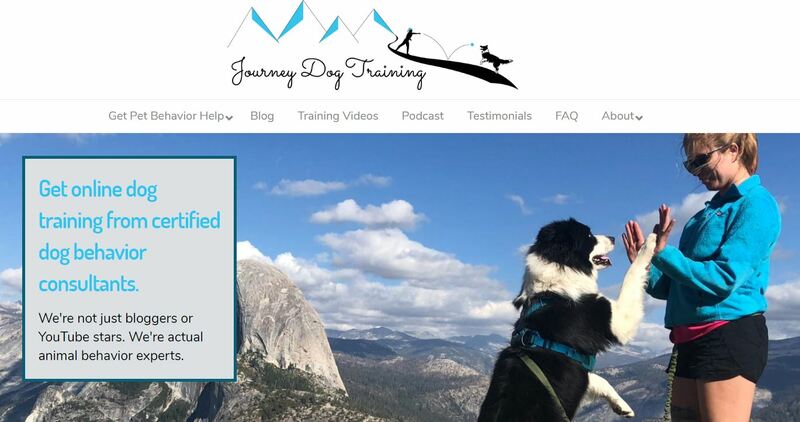 I had written numerous articles on clicker training and other various ways you can teach your dog (and cat) yourself and I of course promoted the clickers and equipment, but I honestly had no idea that online dog training programs would have affiliate options. 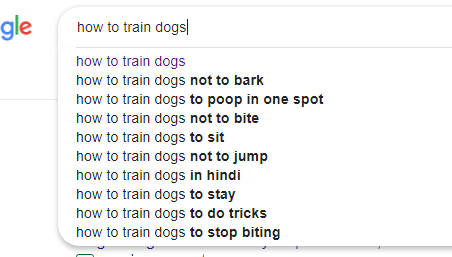 There’s certainly an on-going trend of people searching online on how to solve canine behavioral problems. My youngest sister is actually a vet and she’s quite interested to get into affiliate marketing as well. I can see the relevance of this niche with her profession so this post with all the well-researched affiliate programs couldn’t have come at a better time. I am sure she’ll benefit from it. Thanks! You article is the answer to my prayers. I have, recently, become a dog owner for the first time and my cute German Shepard puppy is quite the energy ball too. We also live in the countryside and I checked online where is the next dog training center and it is 180 km away. Our weather is also unpredictable, still with snow and ice, and I am not so much keen on traveling to the training sessions which are scheduled firmly and you can’t skip them. I thought to myself if there is anything online to help me out starting with the training myself until I can commit to a more timely set training program. During my research, I have come along your website and I can’t tell you how relieved and thrilled I was to read that there are indeed online courses available. So far, I really do like The Online Dog Trainer. I further do appreciate the part where you do outline the possibility of becoming an affiliate marketer for these dog training programs. What an amazing idea also being able to make money. Hi Cathy, I must say that this article is very informative and helpful. I like dogs, I actually have 4 and they are part of my family. I plan to start a niche website related to dog training and this is something I will need. I will choose Dog Sense Online as I know so many people who would like to start training dogs. Thanks a lot for sharing such great networks. I found this niche to be interesting. At first, I was skeptical about the idea of teaching dog training through the internet, but these tips convinced me otherwise. Many pet owners are very busy and having the convenience to learn how to train their own dogs in their home stands out as flexible and cost-effective. This is something to look into further.